A group of developers from Prague have just released what can only be said is the best looking and most functional baby monitor for Android. The great thing about this is that it uses 2 Android devices to act as the pair (with the potential to add more ‘Parent’ devices). This means that you can either use a spare Android device you have lying around… or if you’re out on holiday or somewhere, you can just set your phone in the room with the baby and your wife’s phone as the parent device. A baby monitor always with you! Works on Android 2.3+ so dig out that old Android and put it to good use. As you can see from the features listed above this application will rival the features of a conventional hardware monitor. Plus because of the connectivity of using a mobile device you have the ability to have remote monitoring. As mentioned, I have been given early access to the app and needless to say it works extremely well. Clarity is on par with our Tomy monitor, and the smart noise detection is very accurate increasing the sound as required. I could hear every movement in our standard size double room with George squirming and babbling to himself. So no problems with sound detection and active listening, that’s the bread & butter of the app given the thumbs up. But what about the application itself? To pair 2 devices, the easiest way is o set automatic detection on whilst in the same WiFi network. There is an option to enter a passcode as well in case you’re not on the same WiFi network or when adding a third device to the group. Once a pair has been created it creates a unique group, and this is how it identifies you even when you’re not listening from within your home network. Now you have a pair just set one device as the child and leave that in the room and you take the parent device. If the child device detects a sound it will immediately alert the parent device with a beep and vibrate and will transfer the sound to it. I’ve noticed a delay of about a second from George making a sound to it appearing on my parent device, but this is more than acceptable in my opinion. Other than that there’s not a lot else to comment on. It works as it should, and it does it well. I’ve also tried remotely monitoring and have achieved the same results as when on a home network. A few things I have noticed is that the pin pairing doesn’t seem to work very well. I’ve had difficult adding a third device to our group . I also don’t feel the need for the alerts to include a beep and vibrate – I have contacted the developer about this and they have told me that they will plan to allow notification options in an upcoming release. lastly, I would like to be able to utilise the camera and be able to switch on a view from the child device as well. I know this is already something which can be done with some apps, but I think this is a feature which if added would really make this an all-in-one baby monitor app. Don’t forget though, this is the first iteration of the app, and a very good base from which to work from. Sleekbit have done a fantastic job and I look forward to seeing where they take this further. UPDATE:- Sleekbit have notified me that the issue pairing using pin has been rectified in version 1.01 which should be published to the play store. Of course I’ll verify tonight, but it seems the developers are keen to iron out bugs quickly which is always a good sign. The app is free on the Play Store and this offers you 4 hours a month usage. If you wish to have more you can subscribe for various terms. The pricing schemes seem a bit over-complicated with options for Monthly, Lifetime and varying discount for referrals. However, we have secured a 10 day discount (18th Feb – 28th Feb) to give you 80% off lifetime unlimited usage. Just load the app up and in the billing section enter the promo code LANDOFDROID which will give you the full unrestricted usage for just £0.79. More information and the official press release can be found after the break. 2/6/2014, Prague. Sleekbit introduces their new Android application Dormi, the baby monitor that stylishly makes conventional hardware baby monitors obsolete. Highly polished UI, Simple to use. Dormi works whether you have Internet access (WiFi, mobile data) or not (WiFi AP, WiFidirect, HotSpot). It is everywhere you have your Android device with you. 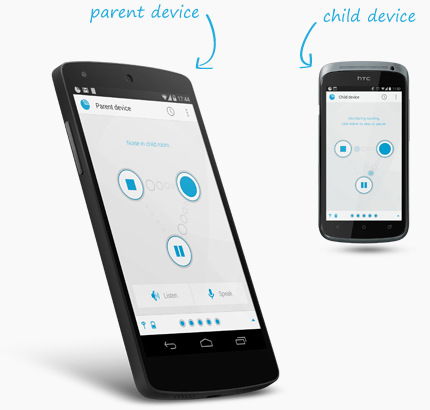 Supports multiple parent devices simultaneously even from the other side of the world. Attention to detail is one of key differentiators of Sleekbit apps. 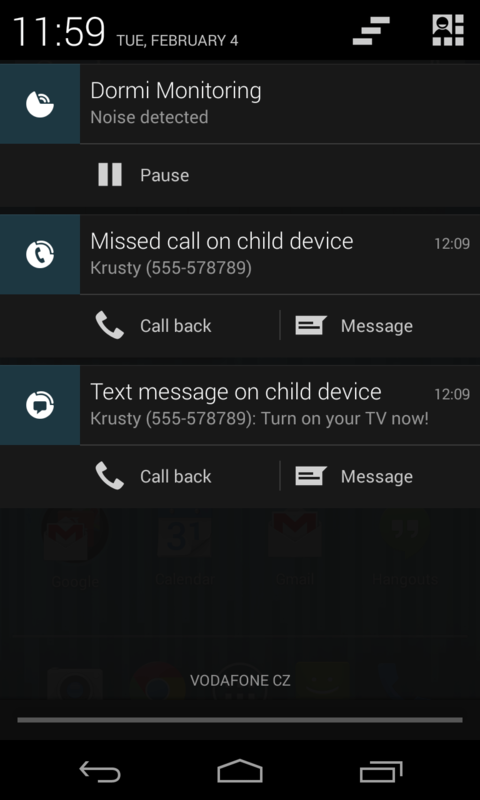 Dormi has many advanced features, for example: even missed calls and texts on the device used in child mode are reported on the parent device. It is designed for newest versions of Android, but works all the way back to 2.3 to give that old Android phone in your drawer a second lease of life. Long-time smartphone 'aficionado' and all-round gadget lover.